Situated in Montalcino, this farm stay is within 6 mi (10 km) of Fortress of Montalcino, Poggio Antico, and Civic and Diocesan Museum of Sacred Art of Montalcino. Museum of Brunello and Torrenieri Montalcino Station are also within 12 mi (20 km). 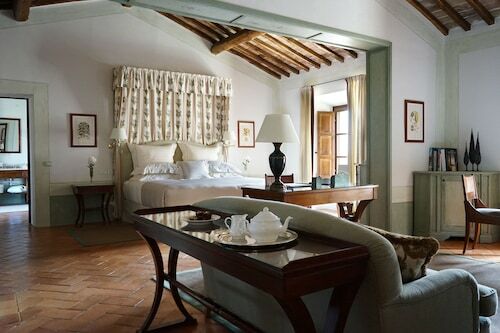 How Much is a Hotel Room in Brunello di Montalcino Wine Area? 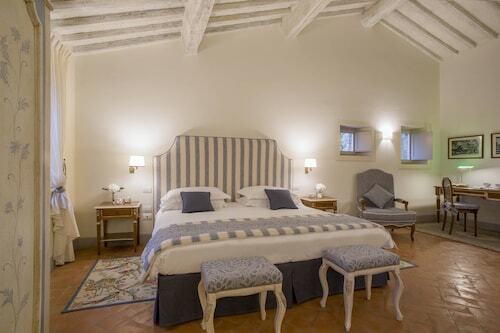 Hotels in Brunello di Montalcino Wine Area start at $96 per night. Prices and availability subject to change. Additional terms may apply. 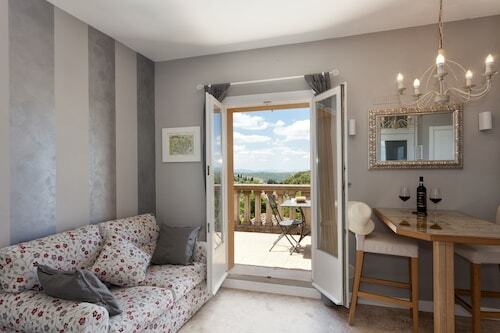 Brunello di Montalcino Wine Area offers visitors loads of flexible accommodation possibilities. Right now, Travelocity customers can book no less than 23 hotels within a 6-mile (10-kilometer) distance of Brunello di Montalcino Wine Area's downtown precinct. The Agriturismo Le Ragnaie, is a wise hotel for the busy traveler thanks to the fact that it's the most centrally positioned hotel choice in Brunello di Montalcino Wine Area. Brunello di Montalcino Wine Area features a solid selection of lower-priced hotel and apartment options that will satisfy thrifty visitors. The Hotel Dei Capitani and the Piombaia are another two economical places that deserve a look. The Castello Banfi - Il Borgo is around 6 miles (9 kilometers) away from the center of Brunello di Montalcino Wine Area. 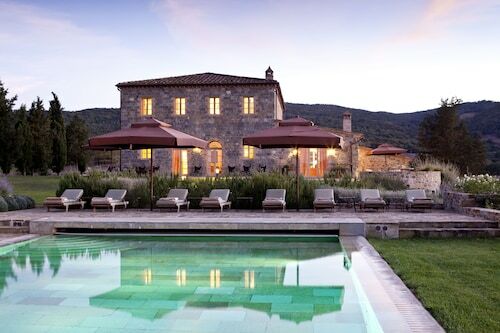 An alternative accommodation option is the Rosewood Castiglion del Bosco, which can be found about 4 miles (6 kilometers) away. 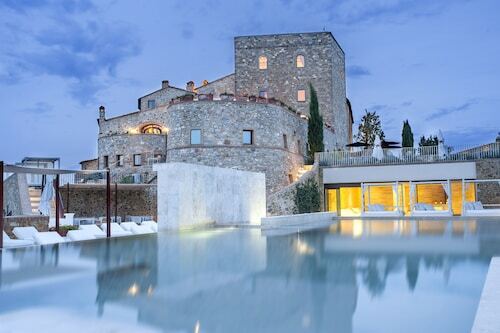 The Castello Di Vicarello and also the Castello di Velona SPA Resort & Winery are some other options around Brunello di Montalcino Wine Area. After seeing Brunello di Montalcino Wine Area, save some time to explore the many other delights of the Tuscany area. Photographers will love Tuscany's rural landscapes and beaches. You could also venture through a few of the area's ruins, castles and traditional villages. Common things to do in this part of Italy include snowboarding, skiing and snow shoeing. Looking for activities? Consider spending a few hours seeing Duomo Nuovo and Cappella di Piazza, which can be found in Siena Historical Center, 20 miles (33 kilometers) to the north of Brunello di Montalcino Wine Area. Some of our recommended Siena Historical Center hotels and accommodations include the Grand Hotel Continental Siena – Starhotels Collezione and Hotel Certosa Di Maggiano. 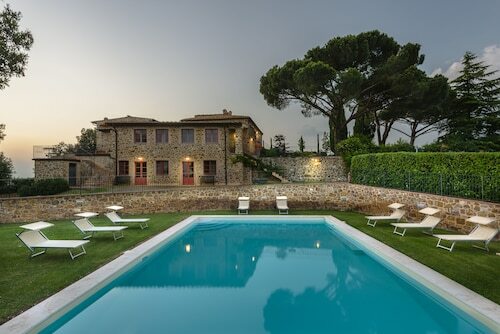 Or stay in Val d'Elsa, 30 miles (50 kilometers) to the northwest of Brunello di Montalcino Wine Area, where you can choose between the Tenuta Di Mensanello and Torraccia di Chiusi. The Archeological and Collegiate Church Museum and Torre Rognosa are some more frequented points of interest to discover when in Val d'Elsa. When you are traveling through Peretola Airport and hope to find a hotel in the area, try The St. Regis Florence or The Westin Excelsior, Florence.